Our immediate way of life calls for quick results in almost everything we do. The general rule is “Gimmie a quick and effective hack and I’m there.” Those who lead way too busy lives don’t have time to research the latest and greatest on nutritional science. As a result, the big headlines are often very enticing, but the problem is that a lot of nutritional advice goes to extremes. So before you go all out on that “I really mean it this time, I have to lead a healthier life in 2018” resolution, check out these five not-so-healthy trends. Don’t worry, we’ll make it fast and simple! #1 Extreme Dieting: It’s time to think of the word ‘diet’ as a noun. It’s something everyone has, not something you do, or can ‘be on.’ Severely limiting calories or following a strict plan consisting of only a few foods or even liquids in the hopes to lose weight is not a sustainable way to work your way to health. While you can lose weight following one of these plans, it often throws people into the bad habits of yo-yo dieting. Depriving your body from the adequate nutritional fuel it needs to run properly can have some pretty negative results like mood swings, lack of energy, brain fog, dull skin, slowed metabolism, constipation and bloating. Yuck! 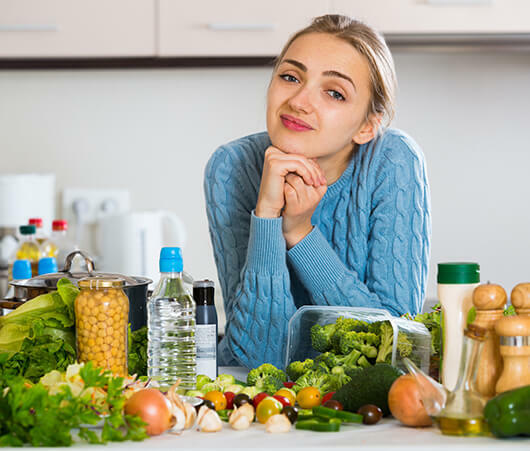 Making small, positive changes to your diet over time can help you lead a healthier lifestyle, and reach your health goals, without going to extremes. #2 Gluten-Free Eating, Just Because: Over the past several years, “gluten-free” went from a medical recommendation to a health fad to, sometimes, a marketing ploy. The truth is, whether going gluten-free is a good choice for you depends on factors like how your individual body digests gluten and your lifestyle. Celiac disease is a serious autoimmune disorder where the ingestion of gluten leads to damage in the small intestine. There’s no doubt that those diagnosed with this disease as well as those with gluten sensitivities and wheat allergies should avoid foods that contain gluten. However, many health care professionals advise against a gluten-free diet unless it’s absolutely necessary because whole grains containing gluten like wheat, rye and barley are linked to reduced risks of diabetes, obesity and other chronic diseases. In other words, for healthy people, they’re healthy, and avoiding them can actually introduce more ingredients into your diet that you should actually be avoiding, like added sugar. #3 Cutting Out Fats: Let’s finally put to bed the thought that eating fat makes you fat. The days of low-fat or reduced-fat are behind us. Often, the products that have the fat removed have other filler ingredients added, and are often higher in sugar! Fat doesn’t make you fat! Fats are satiating and help you feel more satisfied after a meal, meaning you need less to feel full. Healthy fats like omega-3s also offer so many benefits, like brain and heart health. Whole milk greek yogurt? We’re for it! #4 Supplement Supersizing: Adding a good nutritional supplement to your diet is a positive move, but more is not necessarily better, especially when it comes to fat soluble vitamins such as vitamins A, D, E and K. Taking excess amounts of these vitamins can potentially lead to overaccumulation, toxicity and other negative side effects. As for water soluble vitamins? Any excess will simply be excreted in your urine. 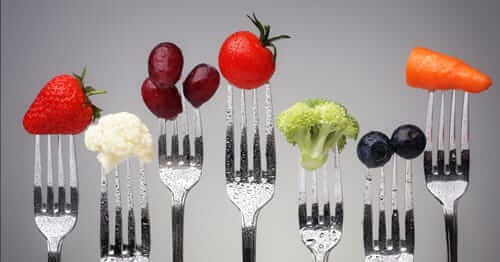 #5 All Raw, Vegan Diet: Adding raw fruits and vegetables to your daily diet is a smart move. However, adhering to this strict regimen can be risky because an all raw, vegan diet can often be lacking in important nutrients like vitamin B12, which can cause fatigue, constipation and appetite loss. It also often lacks calcium, an important nutrient for bone health, and vitamin D, a nutrient associated with many health-promoting benefits. Okay, so this may not be exciting advice, but good common sense is really all that you need to make good choices when it comes to your diet. As we all know, any ‘quick fix’ diet or health trend is not the answer to better health. Focusing on real whole foods that are minimally processed, and incorporating lots of vegetables, fruit, lean proteins (and did we mention vegetables?!) into your diet can help you work your way to better health! Before you commit to your New Year's resolutions, make sure you don't fall prey to bad nutritional advice that calls for extreme dietary changes. Check out these five not-so-healthy trends to avoid for a healthier, happier 2018! Overdoing Multivitamins? Is That Even Possible? Almost everywhere - from Facebook to the pretty pages of your favorite magazine to the packaging of your go-to foods - you’ll read that getting your vitamins and minerals from fruits and veggies is an important aspect of living a Nutritious Life1. And, that’s spot on! However, we don’t live in a perfect world, so while it would be ideal to get all of the things we need from our diet, this often is easier said than done. Supplementing your healthy diet that’s packed with fruit and veggies (and whole grains, healthy fats and lean protein!) is often necessary. However, there is such thing as too much of a good thing. Unlike water soluble vitamins that dissolve in water and are excreted by the body if taken in excess, fat soluble vitamins go through your digestive tract, into the lymph system, and then into the blood to be stored in fat and liver cells. Since theses vitamins can’t be excreted, over accumulation of them can lead to toxicity and negative health side effects. What’s a healthy wannabe to do? Vitamins A, D, and E are all considered fat soluble (K is too! ), and should be supplemented with caution. Hypervitaminosis of vitamin A can cause bone pain, changes in vision, nausea and vomiting, dizziness, jaundice, and itchy or peeling skin2. If it becomes a prolonged chronic problem, accumulation of vitamin A can even lead to liver damage. Overconsumption of vitamin D has even been shown to cause hypercalcemia3 (too much calcium in the blood), which can weaken the integrity of your bones and cause complications in both your brain and heart. In one study, intake of vitamin E over 400 IU per day was associated with increased overall risk of death4, and high doses through multivitamins have been known to cause nausea, vomiting, fatigue, blurred vision, or rashes5. Fortunately, there's a simple solution. Life’s Abundance Multivitamin provides these critical vitamins and minerals, but was developed and formulated to ensure that the nourishing ingredients are in amounts you need to simply SUPP-lement the diet, not overdo it. Unlike some competing brands that overload their supplements, Life’s Abundance knows that more is not always more! You don’t want to bombard your body with an endless list (and amount) of vitamins and minerals that will only be excreted out, or end up causing you more harm than good. An extra bonus? Our proprietary spice blend and black pepper fruit extract in this multi will supply you with an additional boost of nutrition! Supplementing your healthy diet that’s packed with fruit and veggies is often necessary. However, there is such thing as too much of a good thing. Gut health has been building steam as a trending health topic as more and more research points to the importance of the microbiome. Micro - what? Microbiome is a fancy word for the trillions (yes, trillions!) 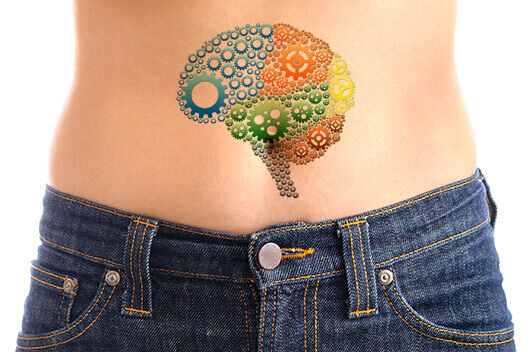 of microbes that live in your gut, on your skin and elsewhere. Your gut health affects everything from your immune system, to your weight, to your brain function, so it’s really important to focus on what’s going on in your belly. Or shall I say what’s going INTO your belly. 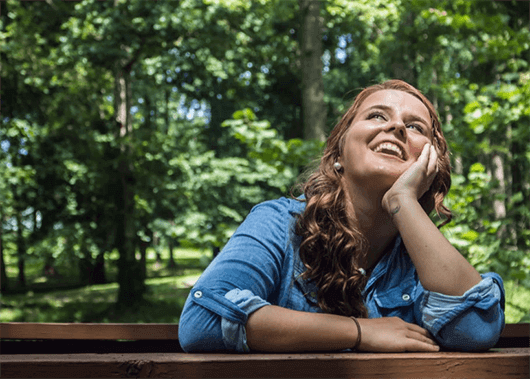 It may sound crazy to think that your digestion controls all of the above mentioned, but actually, scientists have discovered that the microbes in your gut are engaged in a constant conversation with your mind. And that chatter could be affecting your emotions, moods and behavior in major ways. It turns out that your gut’s got its very own nervous system, called the Enteric Nervous System (ENS). It’s so influential on your body that it’s often referred to as “the second brain.” The main job of the ENS is to regulate digestion, but it also sends up regular signals to the brain via the vagus nerve. Think of the vagus nerve as a busy two-lane highway. Traffic is moving in both directions, but it’s much heavier headed north, to the brain. Who’s directing that flow of traffic? Your microbes, of course. Studies have shown that changing the makeup of gut microbiota actually changed how mice behaved, affecting anxiety and cognition, for instance*. Mice raised without beneficial microbes also have been shown to be less capable of managing stress**. Another example: 90% of the mood-balancing neurotransmitter serotonin is made in the gut, and research has shown that microbes play a critical role in its production***. So, if yours are not doing their job well, your body could end up with inadequate serotonin. That’s a problem since serotonin regulates sleep, appetite, mood, and more. Here are four ways to take steps in the right direction towards regulating a healthy microbiome. 1. Add fermented foods to your diet. These are foods like kefir, sauerkraut and kimchi. These foods begin with a live active culture and are fermented, giving them the benefit of probiotics. 2. Eat fiber. Many fibers are considered to be prebiotics. This means that they feed the good bacteria already present in your gut. But different fibers feed different bacterium, so it’s important to get these prebiotics from multiple sources and from a variety of foods. 3. Drink lots of fluids. Our bodies need water for skin health, immunity and energy, but also to push things along through digestion. So while we need the bacteria for gut health, we also need the fluids to keep everything moving as it should. 4. Take a probiotic daily. You can think of adding this supplement as a bit of an ‘insurance policy’ to make sure that you’re balancing the bacteria in your gut every day, no matter what. I wholeheartedly recommend Probiotic Supplement, which has a proprietary 5-strain blend with 25 billion CFUs guaranteed. Plus, it's made in the USA! Gut health has been building steam as a trending health topic as more and more research points to the importance of the microbiome. Micro - what? It’s refreshing, right? The feeling of starting fresh in a new year, with an opportunity for self improvement and change. Here’s a good tip for when you’re making New Year's goals and resolutions. It will help you stay focused on both short and long-term goals alike. When defining what you want to achieve, keep it realistic, attainable and measurable. However, no matter how doable your goal, it’s always nice to have that little extra bit of help and accountability when it comes to following through on your promises to yourself. Everyone can agree that positive reinforcement is a great way to adopt new behaviors and leave bad habits in the dust. As we all know, there's no better feeling than feeling your best! Chocolate or Vanilla Protein - A completely plant based, protein rich powder with amazing flavor that can be mixed with anything from water to your baked good recipes. Cherry or Tropical Flavor Minerals & Antioxidants Mix - A healthy alternative to sugary sports drinks that provides you with nourishing minerals and antioxidants. 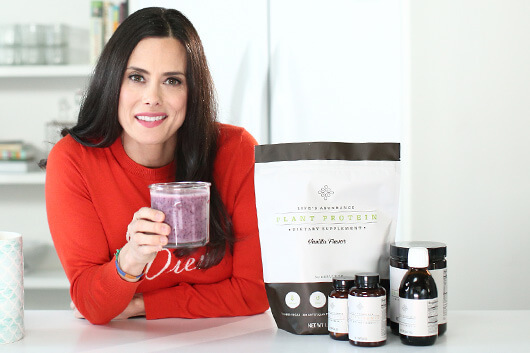 Greens Blend - Using this powder is an easy way to get all of your recommended greens in. It’s a non-GMO mix of raw, certified organic grasses and mushrooms with a subtle berry flavor, and a silky smooth texture. Probiotic - This probiotic is a four-strain blend to help maintain an optimal microflora balance. Good gut health contributes greatly to your overall health. Multivitamin - This is a natural capsule multivitamin with a focused approach to health. This means that it provides you with exactly the vitamins you need, while leaving out exactly what you don’t. Fish Oil Capsules - These supplements are ultra concentrated with two to three times as much health promoting EPA and DHA as competing brands. Plus, they have a slightly citrusy flavor! This pack is essential for making the positive changes you want to accomplish in the New Year. Positive reinforcements will not only help you achieve your goals, but also feel more energized and youthful at the same time! Utilizing this pack is the perfect tool to start the momentum toward more confidence and focus on attaining your goals. As long as you remain committed, the strength of this positive feedback loop will only grow, enabling you to do more in 2017 than you maybe even thought possible. So, let's all start the New Year with a big commitment to ourselves, and each other! Promises of age defying, wrinkle releasing and instant face lifts in a bottle keep beauty products flying off the shelves everywhere from the grocery store to the most posh department store. I’m not saying a few fancy (or not so fancy) products don’t have their role in your skin's health and glow but your best bet at beautiful skin? Is building it from the inside out. These five foods will offer you loads of nutrients to help clear your complexion, prevent wrinkles and make your skin glow. Strawberries: This sweet fruit is full of antioxidants (including vitamin C and manganese) that help to prevent damage to the skin by free radicals. Not only that, but it also packs a punch in the B vitamin department, which plays a role in increasing circulation to the skin. Better circulation equals better cell turnover and a healthy flush. Here’s a bonus to these little fruits - researchers have shown that B vitamins play a role in a reduction in hair loss and contribute to shinier hair. Top a slice of Ezekial toast with a tablespoon of ricotta cheese and sliced strawberries as your new go-to breakfast. Spinach: This leafy green contains zinc, important in controlling the oil content of the skin, which helps minimize breakouts. It’s also an essential component in the formation of collagen, which gives your skin cells their strength and keeps their structure. A boost of zinc will prevent skin from sagging and premature wrinkles from forming. Toss a cup of fresh spinach (frozen works too!) into your fruit smoothie for some serious skin boosting benefits. Salmon: This fish is a well known option for those pining after glowing skin. And for good reason. Its high amount of omega 3s (DHA and EPA) are essential fatty acids necessary for good health, including skin. We can’t make them in our body so we must get them from food or supplements. DHA and EPA help maintain the structural and functional integrity of cell membranes and assist in warding off wrinkles. Their anti-inflammatory effect helps prevent collagen breakdown. Grill a salmon filet with rosemary and lemon for the simplest way to wow your dinner guests. Seafood not your thing? An Omega 3 supplement might be the next best option to ensure you’re getting a healthy dose of those necessary fats. Almonds: Many know about biotin as being the answer for good hair and nails. But did you know that this vitamin does a whole lot of good for your skin, too? Almonds provide you with this particular B vitamin that gets the limelight for its role in stimulating faster cell turnover for a glowing complexion. Get your healthy dose of biotin by topping a salad with sliced almonds or by grabbing a handful of raw almonds as a quick snack. Kidney beans: You may have heard of beans referred to as the ‘magical fruit,’ but this is true for more reasons than this tune’s amusing lyrics. Their high amounts of iron increase oxygen transportation throughout the body. This means better circulation, which means serious benefits for a healthy glow. Pairing them with a food high in vitamin C will ensure all of the iron gets put to work towards your best looking skin. Make a hearty veggie chili full of bell peppers, tomatoes and kidney beans for a nutrient match made in heaven. In an ideal world, we would eat the perfect amounts and proportions of just the right foods from pristine, organically grown farms so we could obtain optimal nutrition from each and every bite. Sounds good, right? It’s important to understand that foods are complicated – in a good way. All foods contain a host of complex micronutrients that work together in perfect harmony. This is why I believe that you can’t pop a pill and expect it to replace all of the nutrition foods deliver in your diet. There’s no singular pill, powder or solution that can compare with the comprehensive nutrition that fruits, veggies, nuts, seeds and other foods supply to the diet. The problem is that this is the real world, not an ideal world and our food supply, lifestyles and unique nutritional needs make it difficult for us to get the all nutrients we need from food alone. Fruits and vegetables don’t contain the vitamins and minerals they used to years ago due to the depletion of these nutrients in the soil. They also lose nutritional potency in transit from the farm to your table, not to mention the nutrients lost when cooking them. 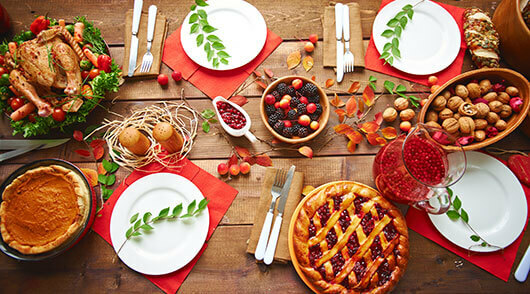 And finally, our hectic schedules often get in the way of making the right dietary choices. For example, instead of a grilled chicken breast with a sweet potato and green beans for dinner, you worked late and picked up a bucket of fried chicken with mashed potatoes and an apple cobbler dessert. This is why only one out of five people get adequate vitamins and minerals from their food. Here’s where I believe a daily supplements can be very helpful. Although they cannot replace all of the nutrition food delivers, when your body needs a little extra help, they will have your back and can go a long way to help nutritionally compensate those of us who live in the real world. So now you may be wondering, “what should I be taking?” There’s so many options to choose from that it can get kind of overwhelming. Is a gender-specific formula the way to go, should I try compressed pills, capsules or a gummies, perhaps a mega-dose formula is right for me or should opt for a special supplement formulated for hair and nails, energy or my age? I believe a multivitamin that provides you with the essential nutrients for optimal health and no more makes the most sense. Because too much of “good thing” can have unwanted consequences. I recommend Life’s Abundance Multivitamin because it provides a balanced approach to a daily supplement, providing all of the essential nutrients and none of the extras. Plus, we’ve added a unique spice blend of black pepper extract, rosemary, turmeric, oregano, cayenne, cinnamon, holy basil and cloves. These spices offer a wealth of plant-based phytonutrients and antioxidants so important for optimal health. And since I believe it’s important to reduce additives from the diet, it is free from magnesium stearate. Life’s Abundance Multivitamin veggie capsules are made from cellulose, which not only helps protect sensitive ingredients but also breaks down and delivers nutrients more easily than compressed tablets. And, last but not least, it is soy, grain and dairy free with no added sugar, artificial flavors, color or preservatives. So, do the best you can to eat as healthy as you can and if you need a little help, try Life’s Abundance Multivitamin. Antioxidants. Free radicals. Two buzzwords thrown around as often as, we eat! But what are antioxidants and free radicals exactly, where are they found and what do they do to and for you? Antioxidants are compounds that protect your cells against the effects of free radicals. Think of them as the "good guys" that protect you from the "bad guys", free radicals. Free radicals are produced when your body breaks down certain foods, from environmental exposures such as tobacco smoke and even from the sun. In science terms, a free radical is a highly reactive unpaired oxygen atom. While oxygen is good and essential for the body, it is meant to be perfectly paired in its balanced O2 form. Think of a free radical as a pinball careening around inside your body, constantly smashing into other cells, and inhibiting normal cell function—the cells can’t do their jobs properly because this little guy keeps storming the gates.They damage cells and contribute to aging and other health concerns. The good news is that we don’t need to live in fear of free radicals. Our bodies are pretty amazing and we can fight them, even with the food we eat. Free radicals can be reduced by eating foods that are loaded with antioxidants. Now the whole “good guy” part is making sense, right? Antioxidants help counter free radicals in your body (think squashing that fly with a swatter) in a variety of ways. For example, antioxidants lessen the deterioration of the skin’s vital components like collagen and elastin. They protect against long-term sun damage, like wrinkling and skin discoloration, and from UVB exposure by fighting the free radicals that result from sun and pollution. My favorite foods which have been found to deliver some of the highest antioxidant power are foods such as blueberries, artichokes, black beans, lentils and dark leafy greens. But all fruits, veggies, nuts, seeds and legumes will provide antioxidants. Herbs and spices and tea and coffee are also a powerful place to up your intake. It’s important to remember to mix it up when it comes to eating. So, no eating that same turkey sandwich every day. Eating a variety of whole foods will ensure that you consume a wide range of antioxidants providing your body with the most help it can get, and you’ll be more satisfied, too! Even when you’re eating a balanced diet, sometimes it’s near impossible to consume all of the vitamins and minerals you need. Supplementing your diet with a low calorie antioxidant blend can be as easy as adding it to a glass of water. With our Minerals & Antioxidants mixes, just pour, stir and immediately enjoy 11 different nutrient-dense super foods, while simultaneously contributing to your 8 recommended glasses of water a day!